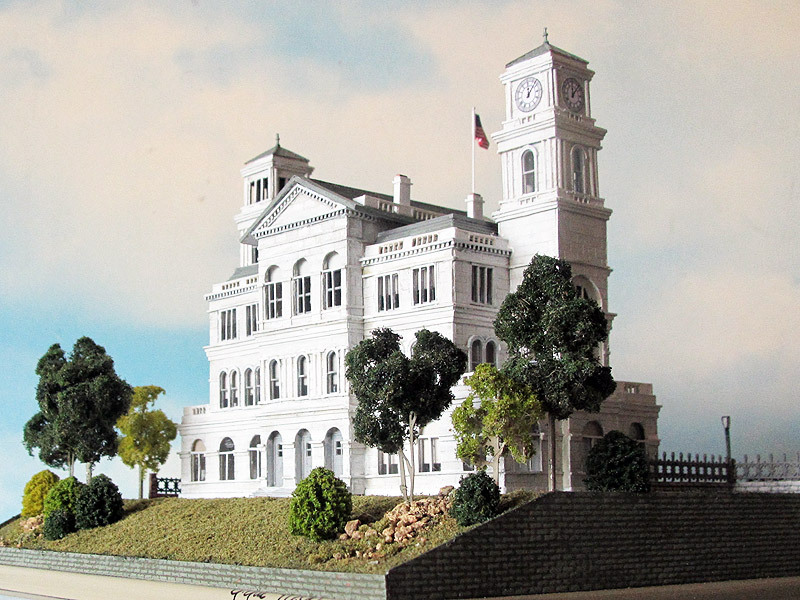 This U.S. Customs House stood proudly on the bluffs overlooking the Mississippi River at Memphis, Tennessee. 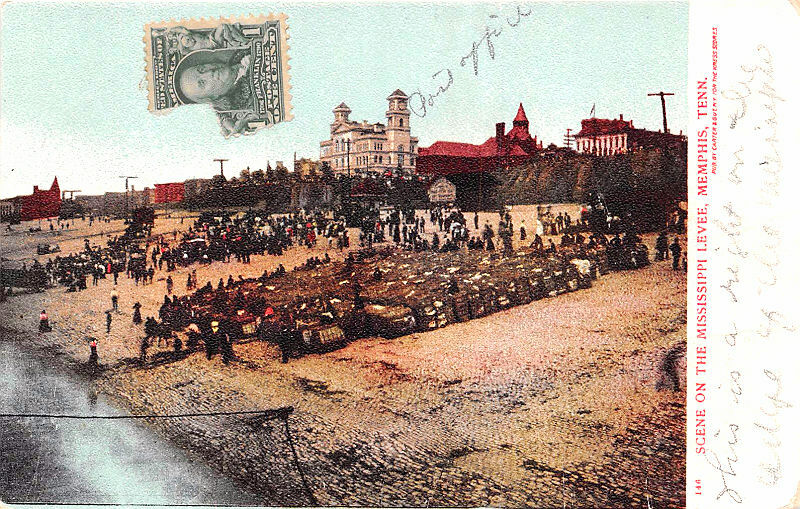 The two towers of the building were a landmark to the river boats and the Front Street facade of the building made a dramatic backdrop for the bustle of Madison Avenue. 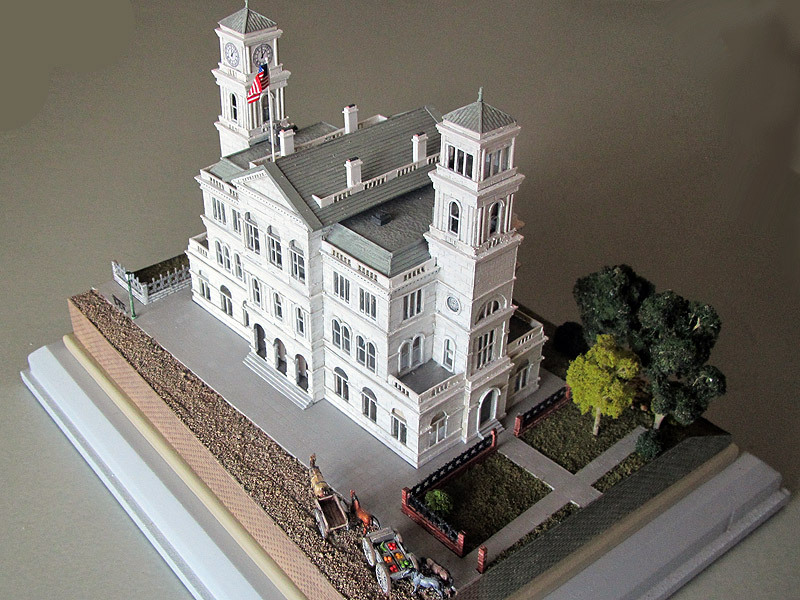 The original building was built in 1876 by architect James G. Hill. 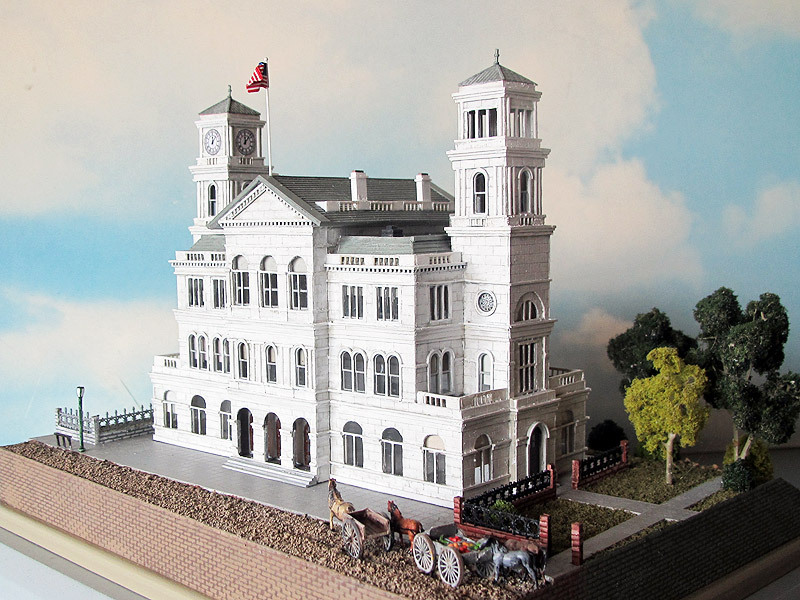 It was a grand building and one of the proudest structures in the city. 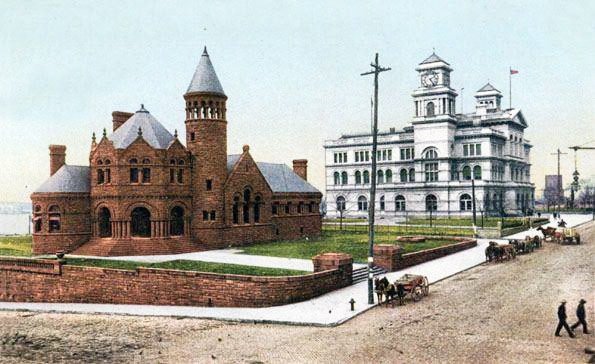 The Customs House and its next door neighbor, the Cossitt Library were the two most distinctive architectural landmarks in the city. 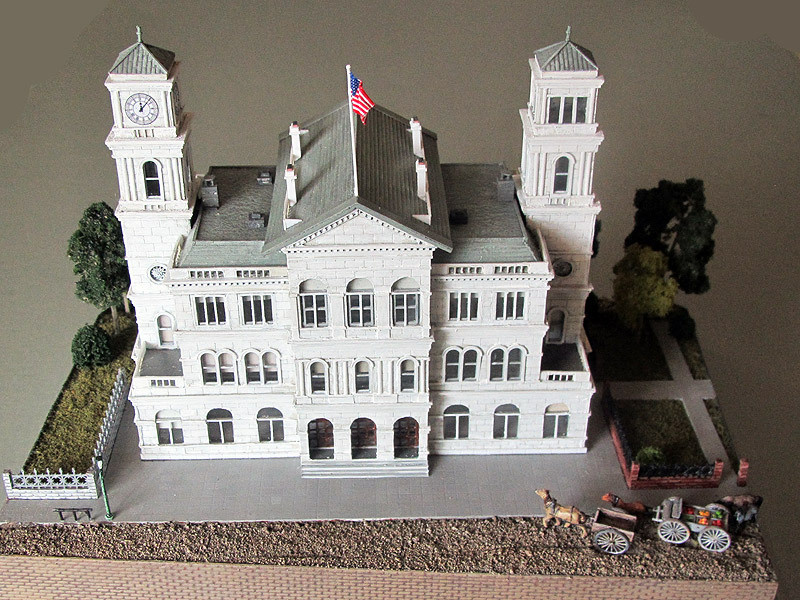 This model represents the ORIGINAL Customs House building as it was, circa 1876. 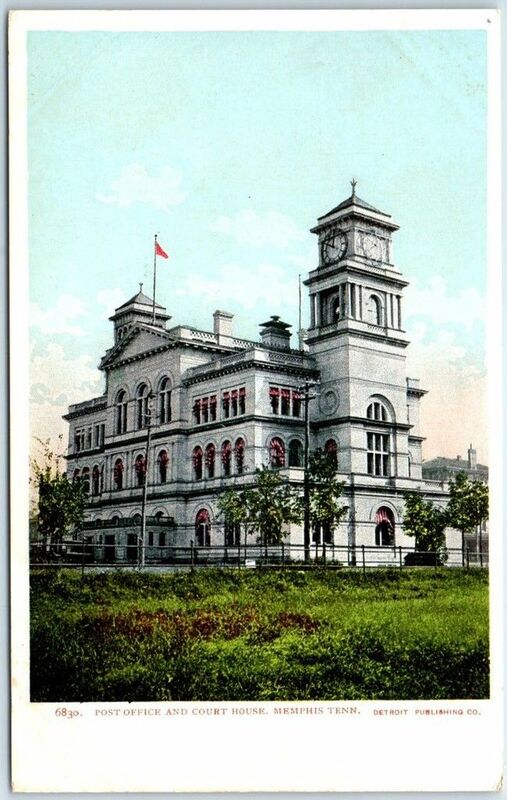 At this time the river front facade was almost identical to the Front Street facade. And of course the flag flying on the model is a 45 star flag. The first renovation of the building was in 1903. The architect James Knox Taylor did nothing to change the structure's appearance from the Madison Avenue side and relatively little from the river. 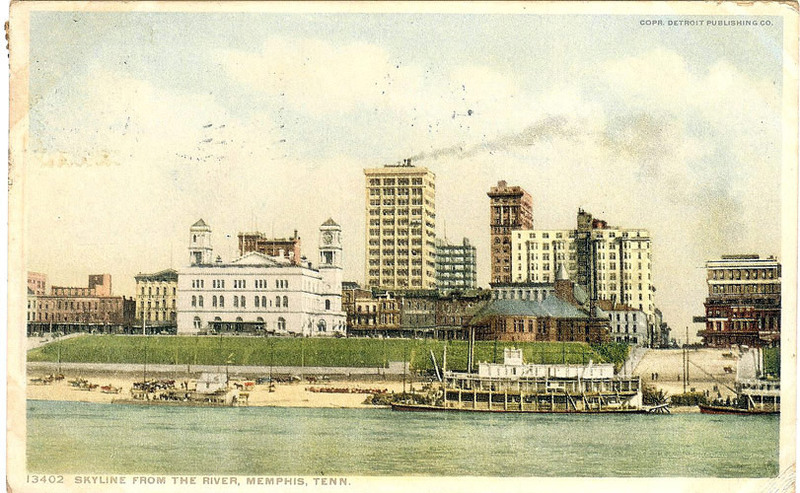 He simply added an extended block of a building on the back river side that looked as if it could have been there from the beginning ( This is the extension that is shown most in vintage post cards of Memphis). It blended so perfectly with the original design that most folks aren't aware if they're looking at the original building or the first remodel. This remodel actually doubled the size of the building. The next renovation was in 1929 by architect James A. Westmore, and it was far more dramatic. The distinctive towers were cut down to the height of the building and the complete building was then enclosed in a great wall of granite. 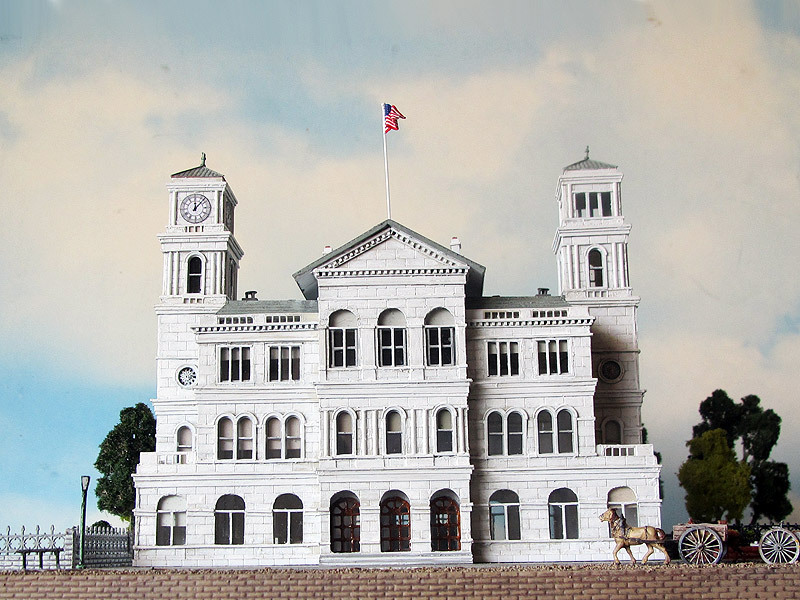 It wasn't a bad design ... it just wasn't the distinctive Customs House design. 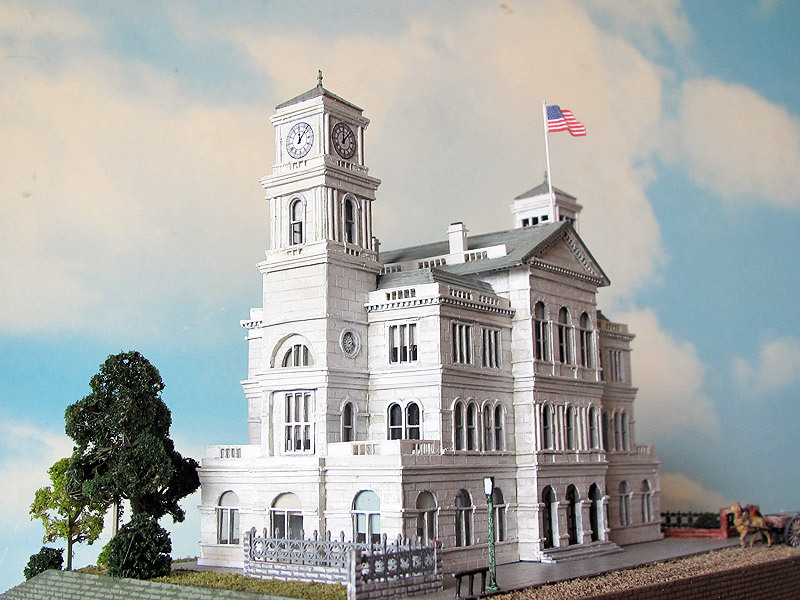 This remodel greatly enlarged the building and added a new function as "Post Office". The next remodel was in 1960 and again in 2010 when the University of Memphis turned the building into their School of Law. 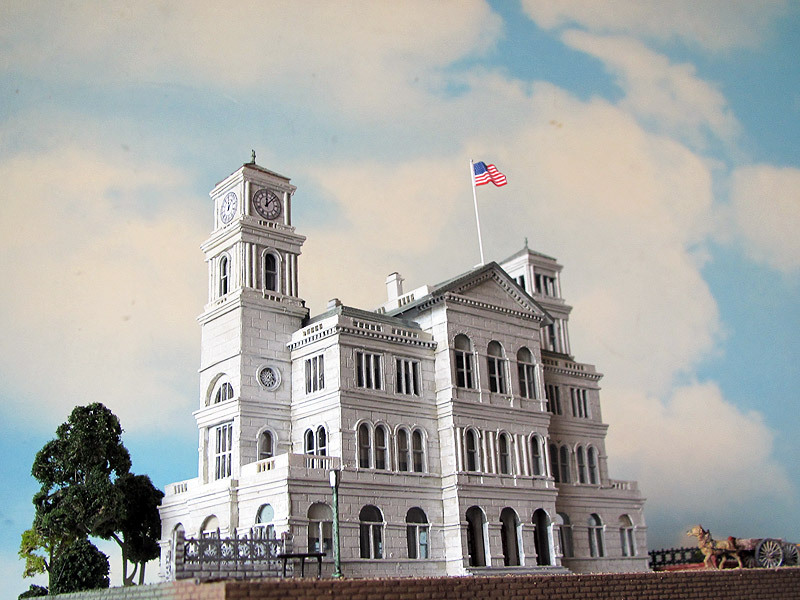 Visitors love to visit the lobby area in the building today because a portion of the original Customs House design is still intact. 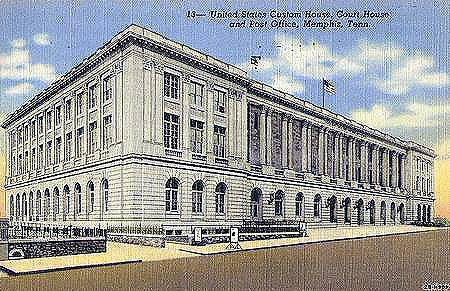 Artist Gene Gill lived in Memphis for his first 21 years, and like most "older" Memphians never actually saw the grand old Customs House, but he grew to love it from the thousands of postcards still around. 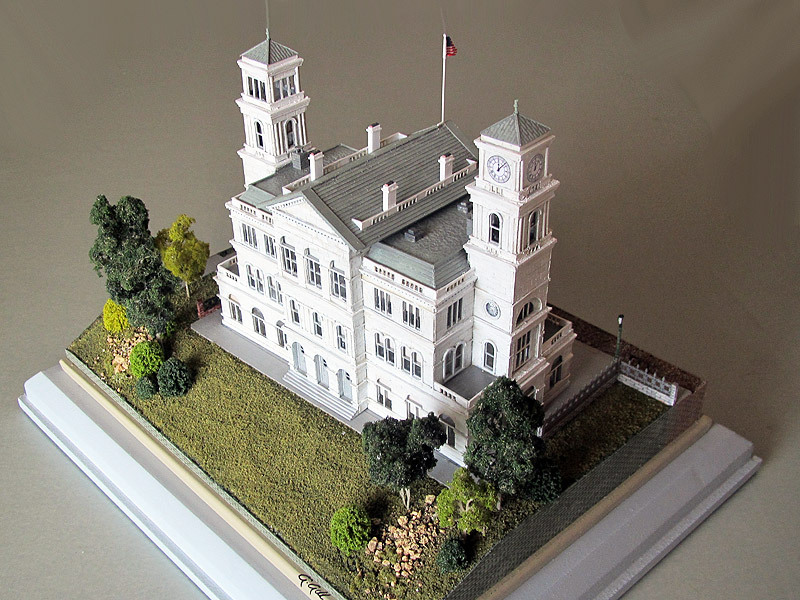 This miniature is one of very few that he has built of a building that is no longer in existence. 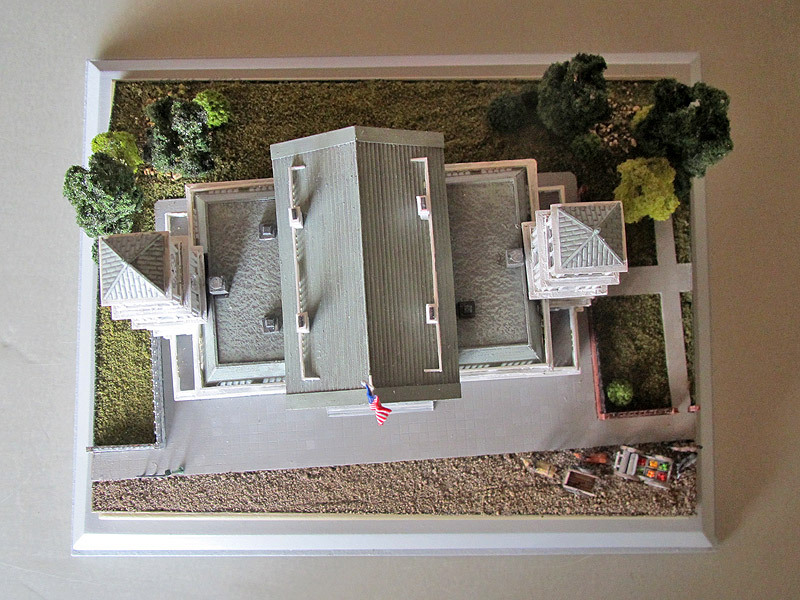 He chose to build it as it originally was around 1870 - before any additions or alterations. Minor exceptions were taken for the landscaping, simply for aesthetic reasons.